Travelling with your own ski gear? Spending five days in Tokyo first and not wanting to carry it around? Japan has as super-convenient solution for you. Meet “takuhaibin” – more commonly known as “Takkyubin” or Ta-Q-Bin – are an amazing, established luggage forwarding service that you should absolutely make use of during your stay. A ton of companies provide the service, but Yamato Kuroneko is the most established and wins bonus points for an easy-to-use English website. Using Takuhaibin, you can send luggage and boxes from and to any private address in Japan. Prices are flat fees determined by distance (usually prefecture to prefecture), and the size of your luggage (with several size “categories”). Delivery times are reliable and can be requested down to a two-hour window. Should you miss your parcel, a slip will be left in its place with an automated service that lets you schedule a new pick-up. The service is so prolific in Japan that most people have used it and can help you through the process, with hotels and pensions guaranteed to offer the service. Many convenience stores offer the service too, just look for takuhaibin logos and flags in the windows. Or if you’re staying at a private residence, you can always call up the company directly and arrange a pick-up at your house. It doesn’t end there: department stores, souvenir shops and even seafood and vegetable markets will sometimes offer takuhaibin courier services. You can send your purchases home or to your hotel, or send your gifts (fancy wrapping included) to the homes of friends and family. Frozen seafoods, meat, or fresh vegetables bought at local markets can be sent with an address, with each courier company offering frozen handling and delivery all the way to keep the food fresh. Best of all for travellers: with your flight number and details, you can send your ski gear straight to the airport, then enjoy urban travel with a lighter load while your luggage waits for you (for up to a week) at the airport’s courier desk. When you depart, head to the courier service counter and collect your suitcase, then check it right into your flight – easy! Takuhaibin is super easy to arrange. All you need is a takuhaibin order form/label, or “denpyo”, which courier companies provide for free and hotels will usually stock. There are two kinds of forms to choose from, “maebarai” or prepay, and “atobarai” or pay on delivery. Yamato separates these with pink forms for prepay and orange forms for post-pay. Put them all together and ask at the convenience store for “takuhaibin maebarai denpyo” and you’ll be sorted! a desired delivery date and time. Then stick the form on your luggage and either call the company to arrange a pick-up, or tell your convenience store/front desk and they will arrange for you. As the fee is a flat rate, most hotels / convenience stores will collect the payment from you in cash, then pay the courier for you when he arrives. Size limits: 160cm length and 25kg weight are the upper limits on size and weight, so be sure your ski bag fits this criteria before planning to forward your luggage. Payments: Most couriers will only take cash payments, so be sure you check the price beforehand and have some cash ready. Timing: Your parcel will arrive within 2-3 days, depending on the time and place you send from. 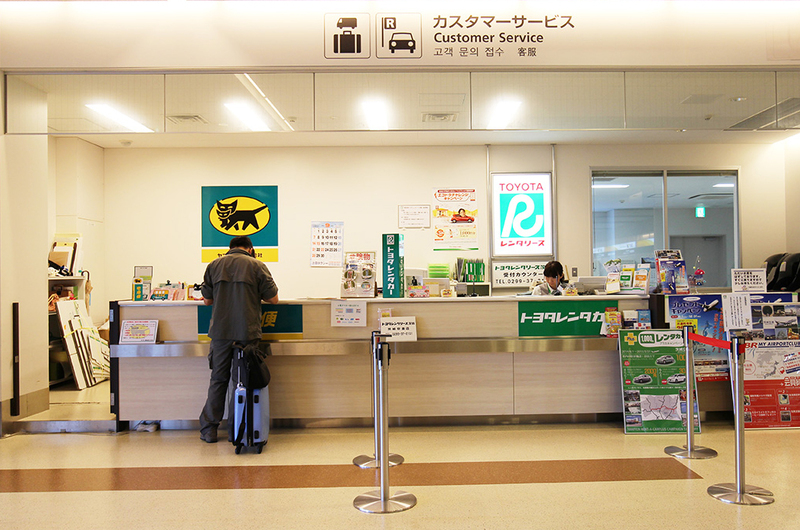 In Tokyo, deal with the courier service directly and you can have your suitcase at Narita Airport overnight. 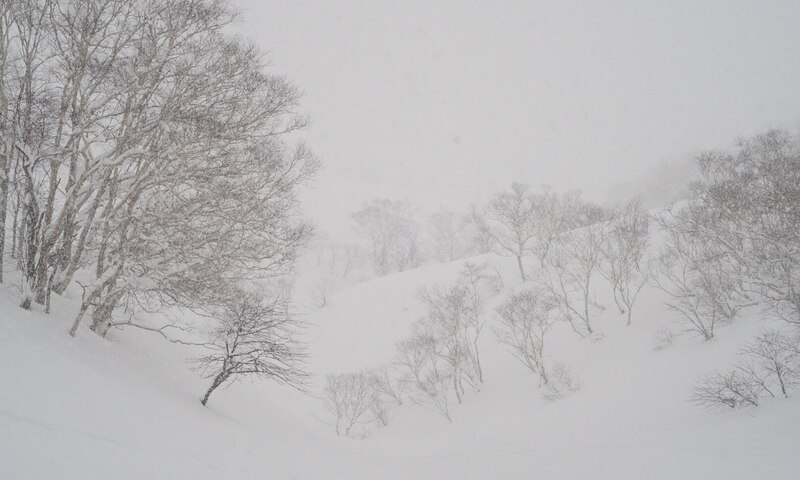 Meanwhile shipping to and from the ski slopes in Niseko, or to and from hotels, will usually add a day. The courier counter will give you an accurate estimate of arrival time, always leave a day’s cushion to be safe. If you’d like to really avoid carrying your ski bags, and aren’t afraid to pay premium prices, a few companies are starting to offer international luggage forwarding. Yamato Takyubin has offices in Taiwan, Shanghai, Hong Kong, Singapore, Malaysia and Thailand, so luggage can be sent to its overseas branches. When you send your bags internationally, you’ll need to file customs paperwork and sometimes declare unaccompanied luggage at the customs counter when you arrive at your destination. The process will be a little different depending on which country you’re sending your luggage from, and their relationship with Japan. 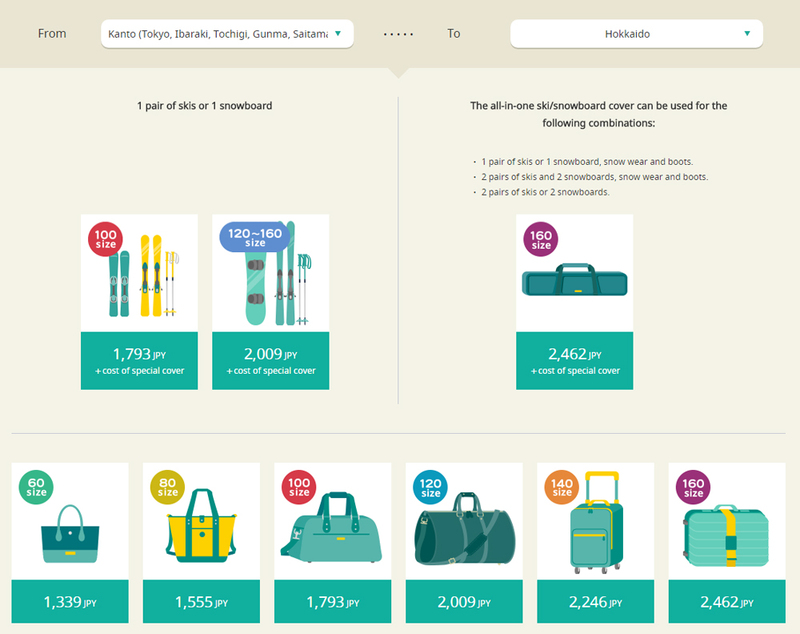 Prices range from $50 – $150 USD for each parcel, so this option prices out similar to oversize luggage fees on most airlines – but if you really want the convenience, their websites are easy enough to use. Get ready for Pyeongchang 2018! !